For those of you affected by the 2015 C++ Runtime Bug that is causing the game not to run for you, we may have a solution. Try out the below steps as we've been able to remedy this issue on our end with these methods. In the mean time, we'll work towards patching this directly to the game in an up-coming patch. What's interesting is that I did a format and installed the game from Steam on a clear disk. The game still asks for the C++ Runtime but even when I click "yes" and uninstall this element, the game still lauches and works fine. I don't know if it is only occuring on my computer but i think it is worth attention. Also I don't now if it has any impact on launching the game, but I've put all the api-ms-win-crt-..........-l1-1-0.dll s into Astro/Binaries/Win64. Try this and see if it makes a diffrence for you. It should look like the above. Just search for all these files and put them there. I try what you said : install all windows update and the logiciel you propose, uninstall reinstall the game, but it still said me the same thing ... it's annoying to buy something and dont even have a single seconde of game ... did you now if the bug is from our PC or from the game ? I think but 'm not scure, did i need to install bolth ? 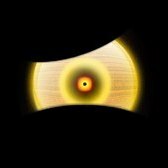 Hey guys, sorry if the solution above couldn't help you! System Era's engineers are working on a solid fix for this! For now be certain that all of your software components (Windows, drivers, etc) are updated and try the solution above again. Sorry for the inconvenience! I tried every fix that i found, but i still cannot start the game. Waiting till the patch for this problem at this point. Also tried everything listed above, didn't work. 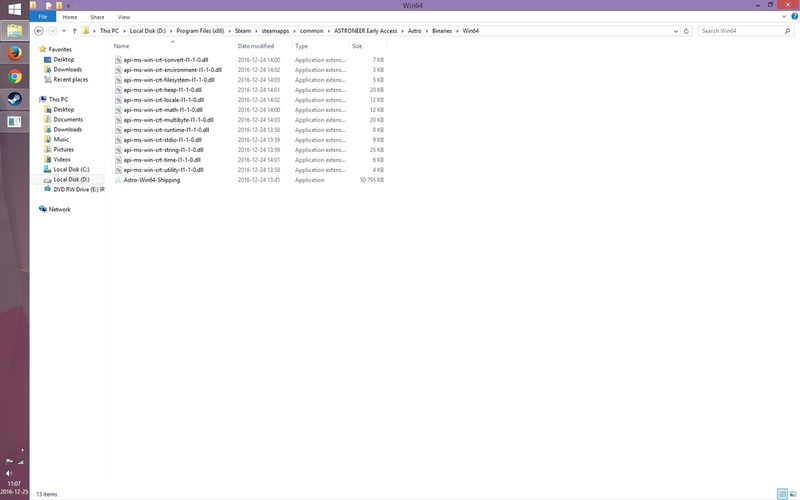 A simple addition of redist to the game folder should fix the problem - many gamedevs are doing it this way. The vc++ 2015 runtime wont install on older windows without some specific updates, Ive encountered this problem with software i've written and decided against updating my developer environment to avoid it. I'm betting the astroneer team doesnt have that option since this is a new game. 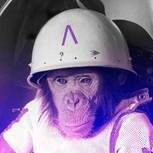 its an MS problem so don't rag on the astroneer team VC++ 2015 redistributable should install once you update your pc. Are you having problems installing the update or running the game with the update installed? I really hope this helps other people as I was bashing my head up against a wall trying to sort this out. hi guys, long post incoming! tl;dr: Reinstalled KB2670838, reinstalled VC++ redist 2015 packages (currently have version 14.0.24210); left game files and UE4 Prerequisites installed the whole time. Game boots up now. So basically, I had the same problem with the UE4 Prerequisites, where it tells me to install it when it's already installed and I end up in a loop of installing and uninstalling. Did a lot of fiddling and finally got it working. Tried to start Astro.exe directly from the Steam folder, gives me an error saying api-ms-win-crt-runtime-l1-1-0.dll is missing. So I went to Programs and Features and uninstalled Microsoft Visual C++ 2015 Redistributable. I had a x86 and x64 version, and I uninstalled both, following all system restart prompts. After prompted restart, I went and manually reinstalled KB2670838 using the standalone installer from the Microsoft site. Filename is Windows6.1-KB2670838-x64. Ran as administrator. I didn't bother installing the x86 one. This was taking a very long time so I ran services.msc from the Start menu, went down to Windows Updates, and manually stopped the service. Update went faster after that. I don't know if stopping this service actually did anything or just my confirmation bias. This one took a long time - about an hour to complete. I didn't know how to make it faster, and it was stuck on installing Windows7_MSU_x64 for about 45 mins. I cancelled the install a few times and restarted it. Sometimes it would give me an error saying that only one instance of the install is allowed at any time, so I went into Task Manager and manually stopped the process wusa.exe (which is Windows Update). I typically have Windows Update turned off, and as of right now I am NOT up to date with my updates. A number of them are security updates that I didn't think were relevant as I assumed the problem was purely with the VC++ updates. ...and a whole bunch of others from 2013, 2012, 2010, and so on. I can post these if someone thinks they're relevant, but I assumed that these older versions were not the culprit. I also had Astroneer installed through Steam the whole time. 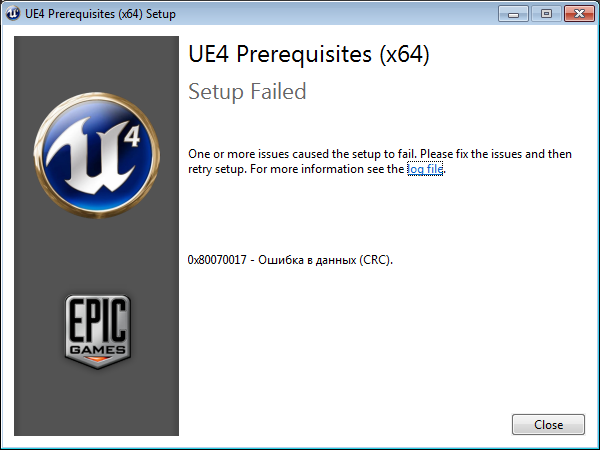 I also had the UE4 Prerequisites installed (ie. I never uninstalled any of the game files before fiddling with the redist packages and the KB####### Windows Update files. After reinstalling just these, the game boots. I found that my redist wouldn't install because of the MSU file not executing properly. After looking around and trying stuff you have to do a fairly manually job on it. So to begin, start up the installation of the 2015 C++ Redist, if it says repair, click that otherwise just install it, it should get at least to the installation of the Windows MSU file, when it starts that it will get stuck as it's not executing. Click cancel, then click the link to view the logs. Now that you found it, copy the directory and open up command prompt as admin, move your MSU file to a safe, memorable place by typing: move "<your directory>" C:\safespace. Voila, you are now a 1337 command prompter and can play Astroneer to your heart's content. This helped me get further, unfortunately the game freezes but at the menu this time. I have Windows 10. Should I still try this update? Unfortunately, all suggestions posted above do not solve this problem for me. I haven't been able to start the game once, but I am really looking forward to getting started. If I need to try something differently, I am happy to give it a shot. Try a solution from this. Thanks a lot mrBurns, I've managed to fix it. I did exactly what the suggested solution said, but the Visual C++ installer kept stalling at the last installation step: "processing: Windows81..."
To fix this issue: reboot, uninstall all Visual C++, reboot, disable antivirus software, install the suggested Visual C++, reboot and play! I have the same problem. I can't play the game. I install ue4 many time. And the same result (see picture below). Help me. please. What bit of your OS? Game is not working for me either, same reason. I personally think for Windows 7, the update server is down, probably permanently since they no longer support windows 7. I tried manually updating windows 7 and it just infinitely loops the message saying it's checking for updates, but it never checks anything, had the thing going for 7 hours checking, nothing happening. I guess the patch will have to be the solution, otherwise it's time for a refund. Sorry if this is a repost but I had this issue on a Windows 7, SP 1, 64 bit OS machine and this is how I resolved it. Basically, the 2015 C++ required to run the game does not install correctly (it hangs) because the machine is missing Windows updates it needs, but Windows update also hangs. The below process fixes the PC's ability to update itself so that you can then correctly install C++, thus allowing the game to work. 4 - Google search for a file called "Windows6.1-KB3020369-x64" - only download the version from Microsoft themselves - do not run the file yet. 5 - Google search for a file called "Windows6.1-KB3172605-x64" - only download the version from Microsoft themselves - do not run the file yet. 6 - Click on Start and type "task mgr" and click on "View Running Processes with Windows Taks Manager"
9 - Run the first file you downloaded - "Windows6.1-KB3020369-x64"
After this file has run it will prompt for a reboot. 11 - After rebooting, click on your Start button and type "Windows Update" and press enter. This will open the Windows Update screen. Search for updates and apply any that it finds. In my case it found around 179. This can take some time and will also need a reboot afterwards. 12 - After rebooting, open Steam and install Astroneer from your library. 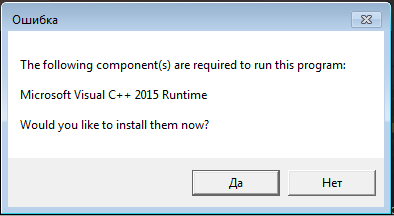 This will prompt for the installation of the 2015 C++ which should now install correctly. The game should now run (at least, it did for me). I have not installed the second update !!!!!! That worked for me, what a process. I got the game going finally. The reinstall afterwards where you get the message telling you to get the UE4 update got to about halfway installed and then just sat there. I cancelled it thinking it wasn't gonna work, still reclicked astroneer and it worked anyways. So apparently there must be a glitch there as well. Long process to get the game running but it worked, thanks krazypenguin.